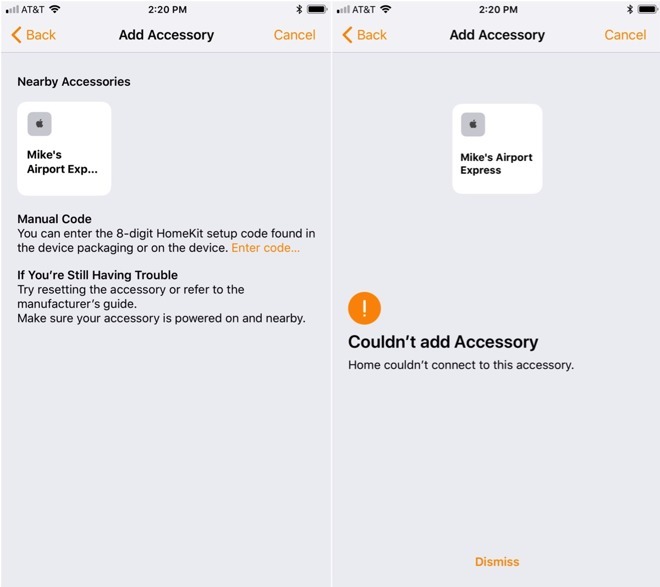 AppleInsider was able to verify the appearance of the 2012 redesign of the AirPort Express in the Home app after three attempts. However, when tapped, the device is not added as a HomeKit peripheral —but visibly fails unlike the first time around. At present, again, the appearance of the old hardware appears to be nothing more than an aberration of the testing process —but the fact that it appears at all rekindles the old mystery. 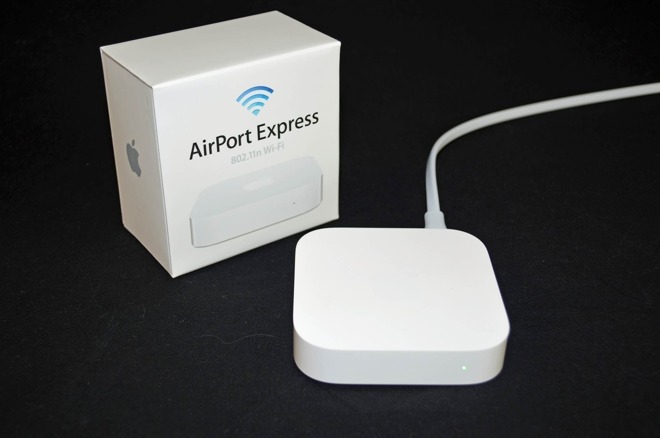 It is obviously related somehow to the device's AirPlay functionality, as the the AirPort Express has been a playback target for some time, since when it was originally called AirTunes.